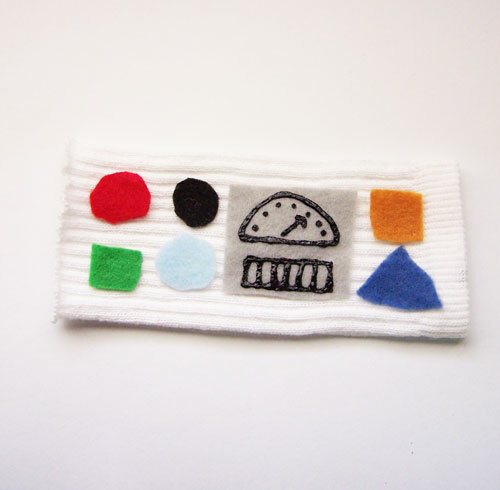 What is it about armbands and gadgets with buttons that are so cool? 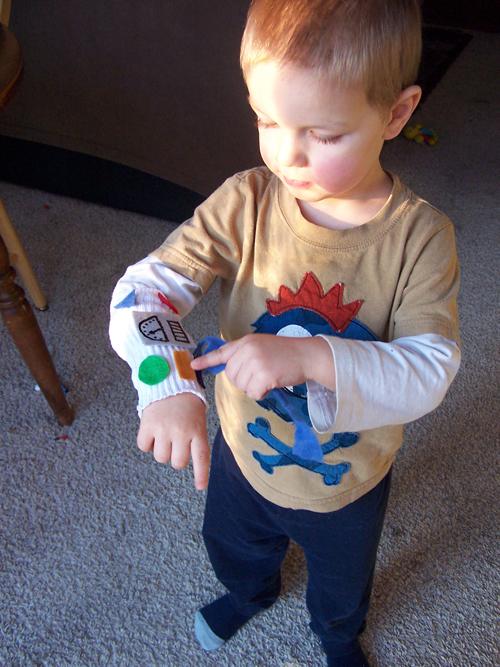 The other day Malcolm stuck an apple sticker to the sleeve of his shirt and was playing like it was a button. Sean of course followed suit, and added a banana sticker later. I decided it would be simple (and very fun!) to make them some armbands they could play with. 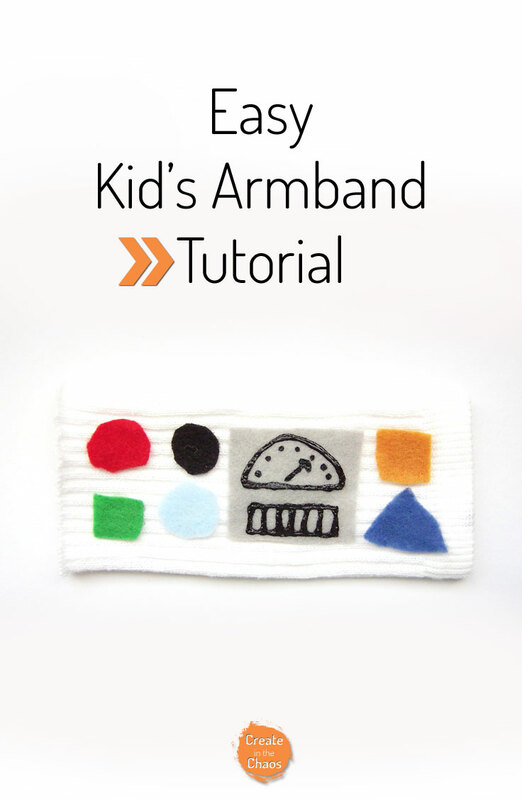 Here’s a simple and easy, no sew tutorial for you to make your own armband. 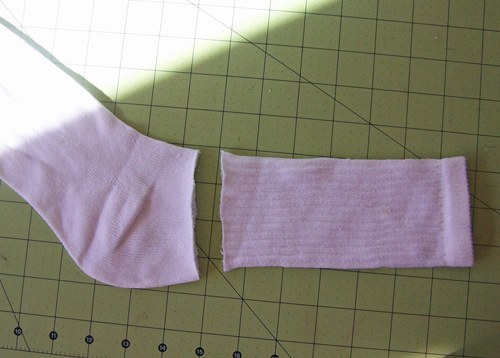 Take your long sock and cut off the end. 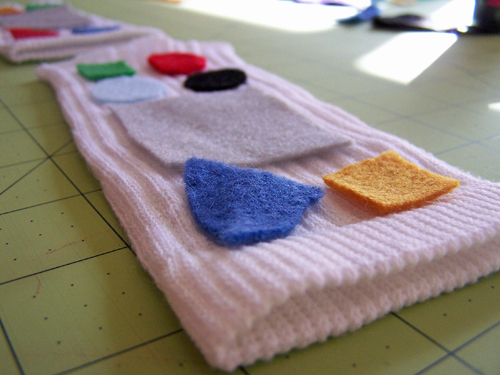 Cut out your various buttons and panels from felt. This is a great step to have your kids help you with! I let Malcolm make his own buttons. Sean just wanted to cut some felt with us. We cut several different shapes. 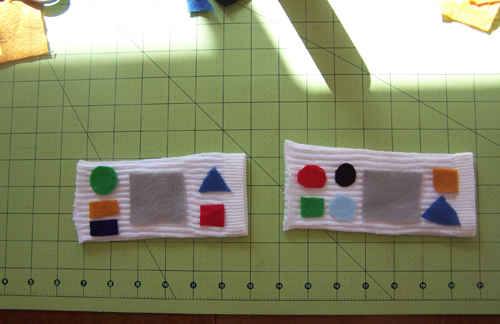 I cut a grey rectangle for each armband to use as a “panel,” which I’ll show you below. Then simply glue them in place. 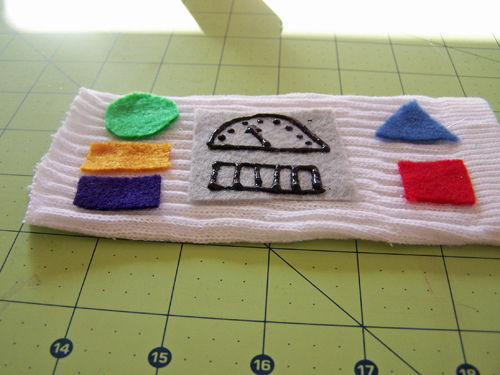 Make sure you glue around the edges of your felt buttons to keep them as flat as possible. Using black craft paint, you can add some fun detail to your armband. 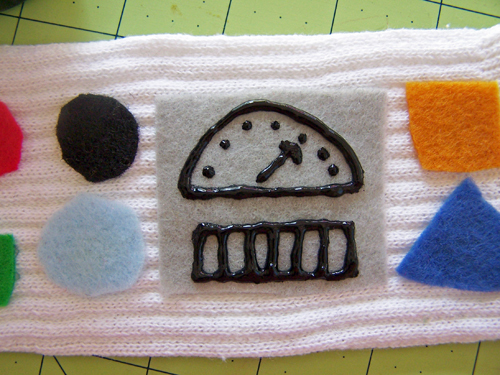 I made a small dial and a speaker piece. Let your paint dry. I think this was the most difficult part – the kids were just itching to try out their new armbands! 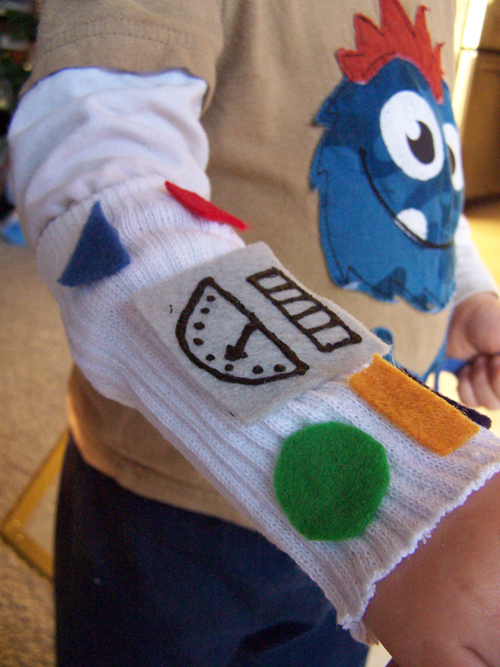 And there you have it- a fun armband! 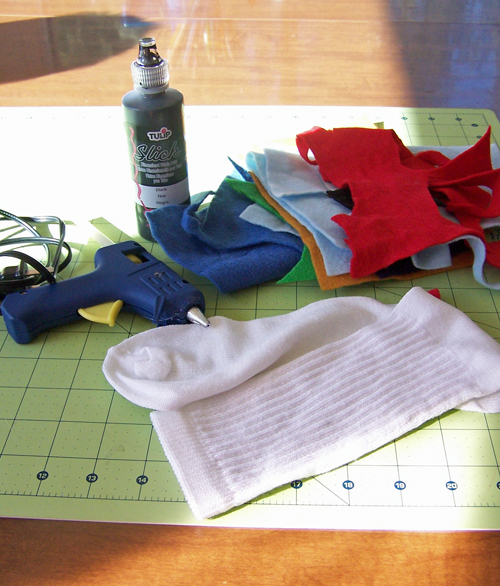 You can use this to add to a full costume for something like a robot, astronaut, or superhero. Or just let your kiddos run wild with them pretending to be Buzz Lightyear. My boys were so excited to try it out. My 2 year old actually wore it to bed that night because he didn’t want to take it off. Let me know how your armbands turn out! 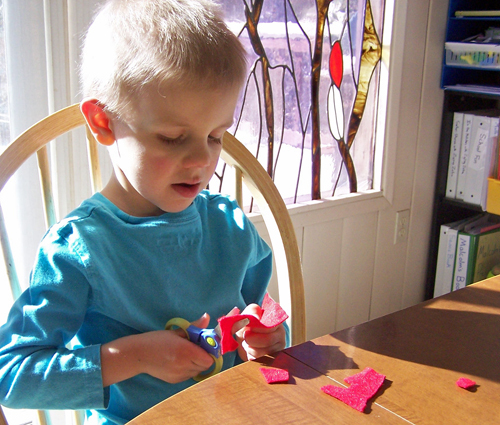 What fun things did you do to customize it for your kids? This is so cute! What a neat idea. I think I can manage this, LOL!